If you’re trying to make new contacts the chances are that they’ll look you up on LinkedIn first. Google searches typically throw up LinkedIn profiles amongst the top hits and you need to ensure that you’re not unwittingly damaging your reputation by your absence. It could be that as you use it more extensively you realise that you are indirectly linked to potential clients, making it an invaluable networking tool. The parameters of LinkedIn are changing. Once upon a time it was like a secret members club, whispered conversations about invites and retaining exclusivity kept it in the preserve of the top level professionals. Like all social media platforms the need to include and be included has widened its reach, and rightly so. As an individual LinkedIn represents your private space but it’s worth remembering that the nature of your interactions there will have an impact and reflect on your employers – if you’ve got a personal twitter feed linked, is everything you’re posting appropriate? Consider being more discerning about which tweets you publish there. As a business it’s worth paying some attention to how your employees are using LinkedIn. Senior stakeholders should definitely be giving some focus to strengthening your brand impact through LinkedIn and capitalising on it as a PR and communications platform. For many LinkedIn forms the professional hub of their social media activity with spokes connecting to twitter, their blogs, and any groups and forums they connect to and, naturally, it is possible to spend an inordinate of time ‘getting lost’ there. However for the average user, once your profile is set up some light weekly maintenance is all that’s needed to keep your profile up-to-date and ensure that you are appearing regularly in the published updates. 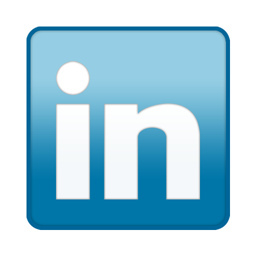 Like your website and any other public platform that you use, LinkedIn is akin to your shop window. You have no control over who walks by but you can do the best you can to make them stop and take note. Once your profile is complete you need only spend a little time every week housekeeping to maximise the potential of LinkedIn. Start with your profile and consider a few key points. What will draw people in? How can you best summarise yourself – remember that people have a short attention span, be concise. Add some personality but don’t go overboard on the quirky. When you’ve done, read it back aloud – does it describe you accurately? Don’t assume that everyone will understand from a job title what that job involves – we’re living in a world filled with the most ridiculous titles – describe what you do… and don’t lie! Put up a profile pic – essential! Revise your profile on a regular basis, change the odd word, play around with it – keep it fresh – again this will appear on the weekly updates. At least once a week go in and accept or reject new invites – don’t leave it months then do loads at once. This kind of behaviour makes it obvious that you’re rarely there. If you use twitter,you can link it to your LinkedIn profile and using the #in hashtag you can update your status on LinkedIn automatically. It’s not advisable to link every tweet, but it’s an easy way to keep your status ‘live’. If you have a blog, you can publish this to your LinkedIn profile. However, be cautious – if you rarely publish any posts consider what message this is sending out.